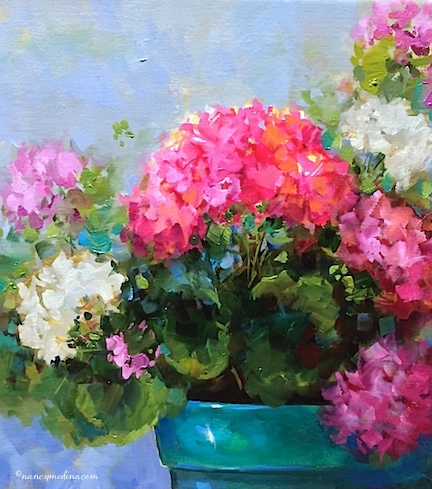 Spring Sparkle Pink Geraniums was one of my recent class demonstrations and the flower models are already blooming happily on my sun porch, as part of my "paint the flower, plant the flower" recycling program. I'm leaving for Tennessee Friday for a full workshop near Nashville, but I have a confession to make. I am so excited about Tennessee and seeing all those friendly southern ladies, but Sonoma, California, is on my mind! 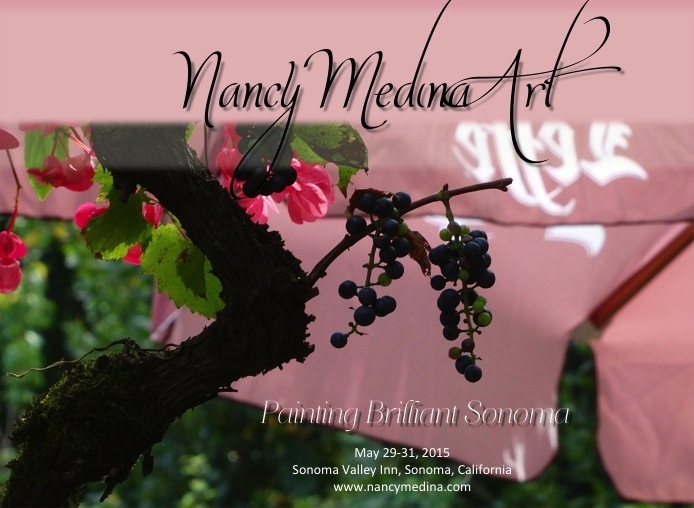 Paint Brilliant Sonoma is coming up soon. Is it okay to be in love with two venues at the same time? Will Nashville begin saying awful things about Sonoma on its Facebook page if they discover I am practically seeing them both at the same time? I know the airline is pretty happy with me at this particular juncture, as I have six plane tickets in the queue and single handedly have funded an entire fuselage on one of the new Airbus 777s. Not to incur further jealousy, but the flight attendance slipped me an extra bag of peanuts on my last flight. I tried to nod my thanks to her, but the gentleman's elbow in the seat next to me was wedged so tightly under my chin I could barely get my seatbelt clipped.